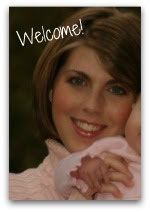 My friend Mary Anne is the creative force behind the insightful blog mama smiles, "celebrating every day parenting through education, crafts, and play." This is one awesome mama! She is the mother of three little ones, with another one on the way, and is highly involved in with their emotional and intellectual development. She has the gift of turning ordinary objects and every day occurrences into magnificent teaching moments. 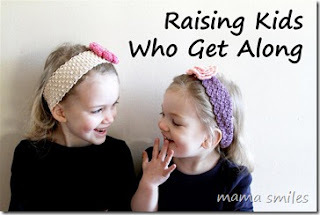 Check out this recent post about raising kids who get along. Thanks for being such an inspirational mama, Mary Anne. What are your favorite sites to improve family life in your home?